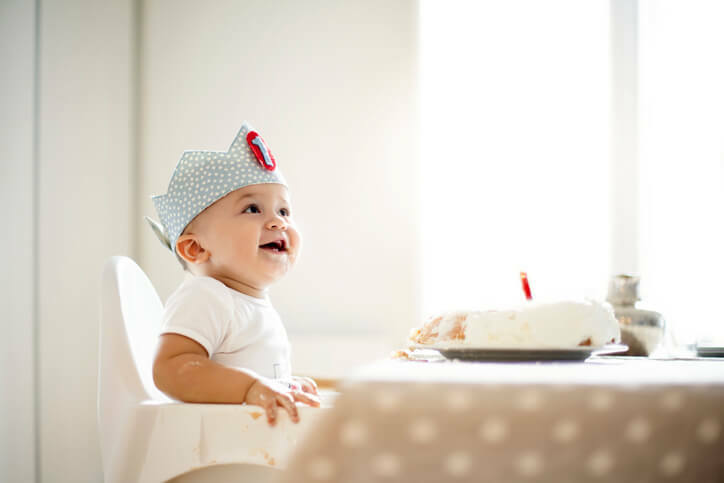 Here's a birthday playlist perfect for your baby's first birthday, from the founder of Baby Loves Disco. Enjoy! Elizabeth Mitchell, "Little Bird, Little Bird"
Bob Marley, "Three Little Birds"
Doris Day, "There's A Bluebird On Your Windowsill"
The Be Good Tanyas, "The Littlest Bird"
Faron Young, "Hey Mr. Bluebird"
Pee Wee King, "Between You and the Birds and the Bees and Cupid"
Peggy Lee, "Listen to the Rockin' Bird"
Studio Group, "Let's All Sing Like the Birdies Sing"
Louis Jordan & His Tympany Five, "Ain't Nobody Here But Us Chickens"
Anita O'Day, "Watch the Birdie"
Van Morrison, "Starting a New Life"
The Carpenters, "Top of the World"
Gene Kelly, "Singin' in the Rain"
Lesley Gore, "Sunshine, Lollipops and Rainbows"
Rolling Stones, "You Can't Always Get What You Want"
Paul Simon, "Slip Slidin' Away"